Dr. Despina Pappas opened Pappas Pediatric Dental in 1979. She received her dental degree from Columbia University, and she remained at that program until successfully completing her specialty pediatric training. Dr. Elayne Pappas practically grew up in her mother’s office, which led her to pursue a career in dental medicine, as well. She graduated from Stony Brook University School of Dental Medicine in 2008 and received her pediatric specialty training. Dr. Elayne became board certified in 2011. Dr. Despina and Dr. Elayne Pappas’ unique situation allows our practice to have the benefit of more than 30 years of experience, with the fresh outlook and technologies of a more recently trained dentist. Our practice has a very family-oriented feel, and our doctors strive to make your family feel like part of theirs. They believe every child deserves high-quality dental care and the chance to have a pleasant, enjoyable dental experience. 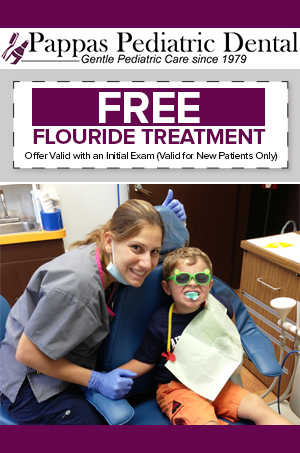 Let us provide your children with the pediatric dentistry services they need to achieve optimum oral health. Contact us today in Bayside, New York, to schedule an appointment.